Well kinda. 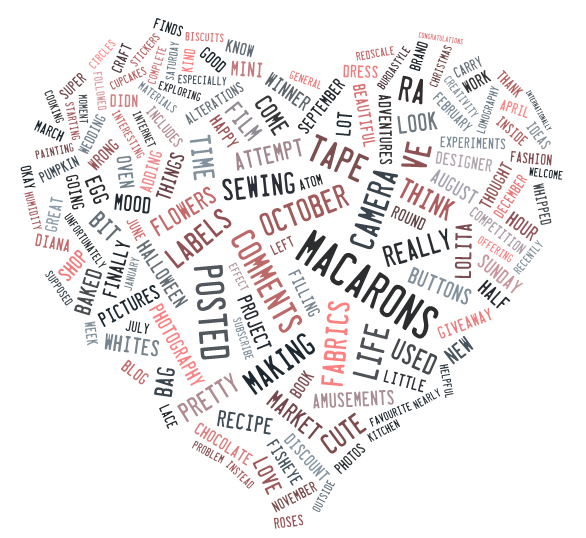 I used tagxedo.com - you can make a tag cloud from any website and choose the shape and colours etc. I like how macarons are GIANT.